Every day at 826, hundreds of students are sitting down to write. In eight different cities, in classrooms and writing labs, and sometimes even in pirate supply stores, 826 Network students are sharpening their writing skills and their imaginations. 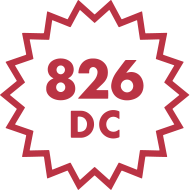 At 826 National, we’re on a mission to share the transformative power of writing with students and educators across the country: whether in partnership with one of our local chapters or by using curriculum from our new, online lesson resource, 826 Digital. We believe writing is a tool for young people to ignite and channel their creativity, explore identity, advocate for themselves and their community, and achieve academic and professional success. We believe a pencil can take you anywhere. Every gift counts, and everyone’s support makes an impact. 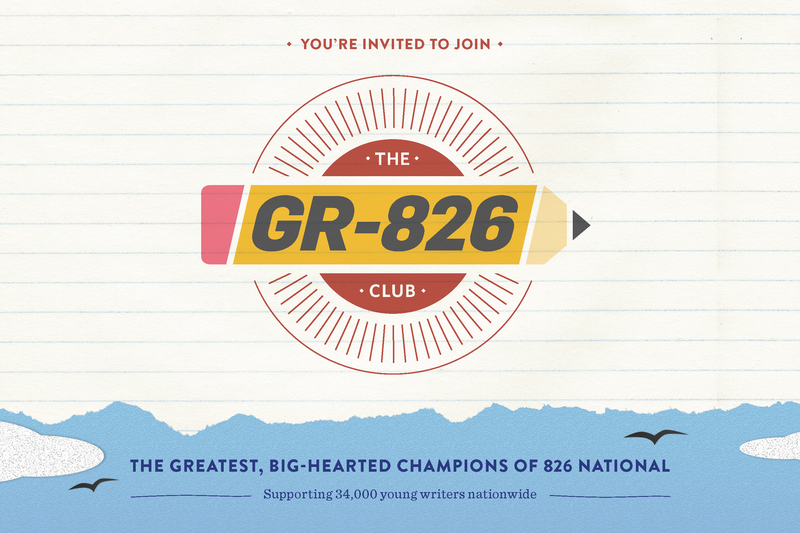 Join the Gr-826 Club today with a one-time or recurring gift. 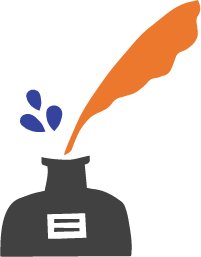 Sustaining monthly donors help us cut down on administrative costs and focus on what matters most: helping students write. We will notify this person of your gift. Why did you decide to give to 826 today?